Cannabis can be consumed in quite a few different ways, and each particular method makes a whole lot of difference to the final effect. Some methods increase bioavailability, while others are far less effective. Let’s take a closer look at common cannabis consumption methods. WHAT’S THE BEST WAY TO CONSUME CANNABIS? Well, the short answer is, it really depends on what kind of cannabis user you are—and what kind of cannabis you are consuming. The good news is, we are going to examine the most popular consumption methods for both medicinal and recreational users below. Unfortunately, we don’t have high-quality research to cite. Thank Schedule 1 drug status for that. However, we can draw upon the anecdotal evidence of consumers and our own experience. The most popular consumption method for the majority of recreational cannabis users is still smoking. Whether you enjoy a blunt, joint, bong hit, or blast from a pipe, you are combusting your cannabis and inhaling it. This method is a pretty effective delivery system to the lungs, which can readily absorb the cannabinoids and get you high pretty quickly. Toking on a roll-up or roasting a bowl is not the healthiest way to consume cannabis. It’s undoubtedly a very convenient way to get high—just not super healthy. If you mix tobacco with your flowers or hash, you’ll also be inhaling more carcinogens. Even smoking pure green is not completely free of toxic byproducts. However, as you probably already know, the effects can be felt within minutes—sometimes even after just a few draws from high-THC weed. But for many medicinal users, cannabis smoke is too harsh on the lungs. Dabbing is a rising trend amongst millennial cannabis users. Rather than flowers, uber-potent cannabis concentrates are the ammo of choice for a dab rig. High-quality shatter and wax typically have 50%+ THC content. The extract is contacted by a white-hot nail and vaporized. This can be a cleaner and healthier alternative to smoking, provided the concentrate does not contain any chemical residues. The downside is that dabbing can deliver a hit that is too powerful for some to handle. Also, carrying around a rig and blowtorch is pretty inconvenient. They do have electronic rigs, but not all of these are as effective as a genuine glass article. Some medical cannabis users seeking rapid relief can benefit from this method by dabbing CBD extracts. Although, dabbing is really only popular amongst the recreational fire-breathers at present. A vaporizer is usually far more sophisticated than a dab rig. Vaporizers are available in desktop and pocket-sized models. Many can be loaded with every kind of cannabis from flowers to concentrates. Instead of combusting the cannabis, these devices heat it just enough to convert it into a vapour that is not so harsh on the lungs and increases bioavailability. In simple terms, if your weed is not strong enough in a roll-up, try it out in a vaporizer and it should get you higher. Vaping has exploded in popularity amongst both medicinal and recreational cannabis users. Custom CBD e-liquids, CBD concentrates, and CBD-rich flowers are all vape-friendly. In our opinion, a decent vaporizer is a must-have piece of kit for any and all contemporary cannabis users. The effects of cannabis edibles can really vary. Sometimes they can get you very, very high—and sometimes they can be wholly ineffective. This is because many cannabinoids cannot be absorbed as they are lost to the “first pass effect” by the liver. Typically, edibles take 1–2 hours before the high kicks in. Space cakes made from high-THC cannabis can be assembled at home with ease. In fact, most potent edibles are homemade. These days, due to the limitations placed upon commercially produced edibles, it's practically the only option. In California, cannabis edibles have been limited to 10mg of THC per serving. For recreational cannabis users, edibles can be a fun experiment. But most medical cannabis users require more reliable products with quicker effects. Cannabis creams and lotions won’t get you high even if they do contain THC. The skin acts as a barrier for cannabinoids, absorbing them before they make their way into the bloodstream. However, cannabis topicals are useful to treat some skin conditions like eczema and psoriasis. They have also become a hot product in the beauty industry. But if you are looking for a psychoactive effect, these are probably not for you. Sublingual application—a few drops of tincture under the tongue—is perhaps the best consumption method for medical cannabis users. 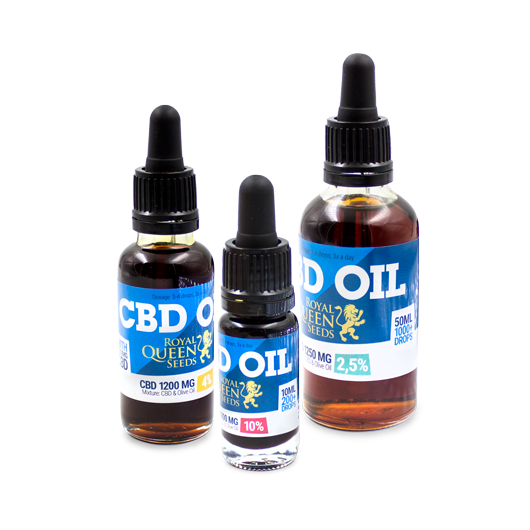 CBD oil has risen to prominence and crossed over into the mainstream because it is non-psychoactive and can be effectively dosed sublingually. Within about 20 minutes, sublingual tinctures or CBD oil will take effect. Furthermore, they will not be diminished by the first pass effect. Best of all, CBD oil is legal and widely available in most EU countries. High-THC tinctures certainly will get you high. Alas, outside of the legal states in the US, they are not available.